George-Louis Buffon (1707-88) Why a “Romantic” Natural History? 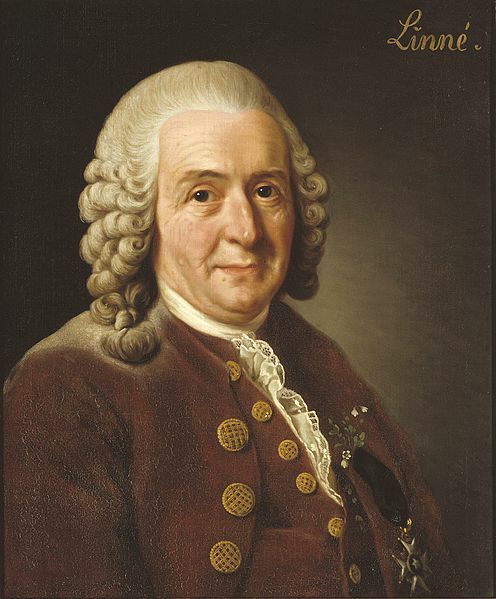 Carolus Linnaeus is the Latinized form of Carl von Linne, the Swedish botanist whose systems of classification and nomenclature had a revolutionary effect on the study of all living things. He originally intended to become a doctor, but gradually shifted his attention to botany. He went on important botanizing and collecting expeditions to Lapland in 1731 and central Sweden in 1735. His classification system developed during the time that he was restoring the famous botanical garden at Uppsala University and became the basis for almost all subsequent system of nomenclature. Linnaeus clearly believed that his binomial nomenclature was merely revealing the details of an unalterable and divine plan, but the relationships pointed to by his classifications contributed to eventual understanding of the morphological similarities among species while also providing powerful evidence for common origins. He was criticized for the overtly sexual nature of many of his descriptions of plants. One critic responded to a Linnaean description of pollination by claiming that “loathsome harlotry of several males to one female would not have been permitted in the vegetable kingdom by the Creator” (Kastner 34). Others, like Erasmus Darwin, responded with lavish praise: “Linnaeus, the celebrated Swedish naturalist, has demonstrated that all flowers contain families of males or females, or both; and on their marriages has constructed his invaluable system of Botany” (Botanic Garden, “Loves of the Plants, I, 11). Linnaeus was the first to describe human beings as Homo sapiens (man+wise), and although he criticized any idea that suggested “evolution,” he did argue that humans and chimpanzees shared a genus: Homo troglodytes (man+cave dweller). Most later classifications disagreed that chimps and humans could be so closely related, but recent genetic analysis has proven that the founder of modern systematic taxonomy was correct. The influence of Linnaeus was fostered by the number and influence of the students he sent around the globe. Here is his description of the whereabouts of his disciples and their botanical activities: “My pupil Sparrman is just gone to visit the Cape of Good Hope. Another of my scholars, Thunberg, is to accompany the Dutch embassy to Japan. The younger Gmelin still remains in Persia. My friend Falk is in Tartary. Mutis is making splendid botanical discoveries in Mexico. Koenig has found many new things in Tranquebar. 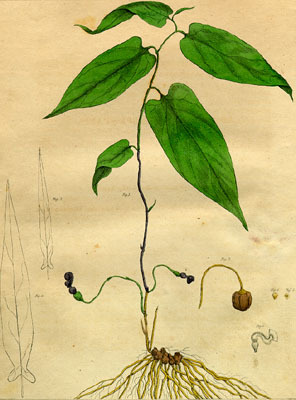 Professor Frus Rottboll of Copenhagen is publishing the plants found in the Surinam by Rolander” (Kastner 35). Linnaeus’s system and teaching have had a remarkably widespread influence from the 1700s to the present day.